We are delighted to announce a new a partnership with Canadian matting distributor, Prairie Ground Solutions Inc. Located in southwestern Manitoba, Canada, Prairie Ground Solutions provide full service industrial safety solutions including composite matting products for residential usage, concerts, events, car shows, sport fields, utilities, heavy construction, pipeline and oil and gas. 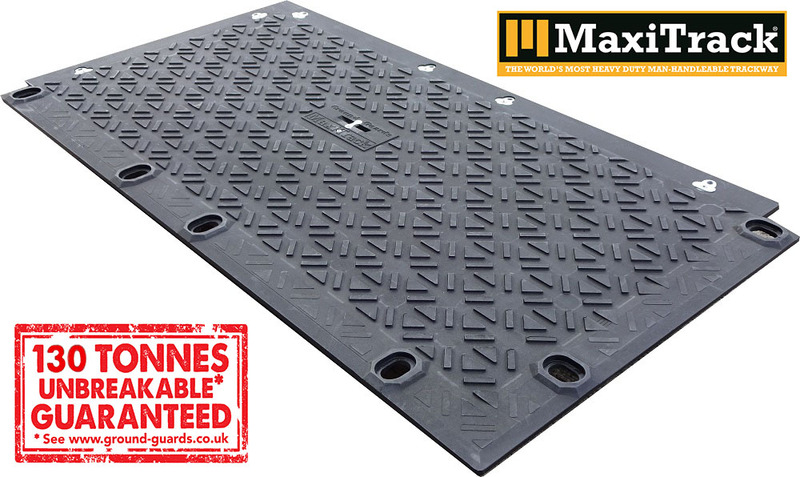 The company will act as distributors for our flagship ground protection mat, MaxiTrack: the world’s most heavy duty, manhandleable matting system. As well as servicing all of Canada, the distribution agreement will also include North and South Dakota, Minnesota, Wyoming, Montana, Idaho, Washington and Oregon in the United States. “We are really pleased to be working with Prairie Ground Solutions and see them as the perfect partner to represent Ground-Guards in Canada,” said Laurie Luke, Ground-Guards’ Head of Business Development. “We’ve been looking for a company to synergise with, one that can share and promote the same values that we have. “We are excited Prairie Ground Solutions can help deliver MaxiTrack to a wider global audience,” said Dan Devenish, Ground-Guards’ Head of Global Sales. Ground-Guards Ltd, a division of the global GreenTek Group established in 1969, launched MaxiTrack in 2016. The mat, guaranteed unbreakable by vehicles up to 130 tonnes, is made from a high density polyethylene called Zetralene and is proving popular across various medium and heavy duty applications. CLICK HERE to visit the Prairie Ground Solutions website.